Look! GM is hiring an engineer to buy airbags and seat belts, but they really want someone that can "drive down costs to meet financial targets." 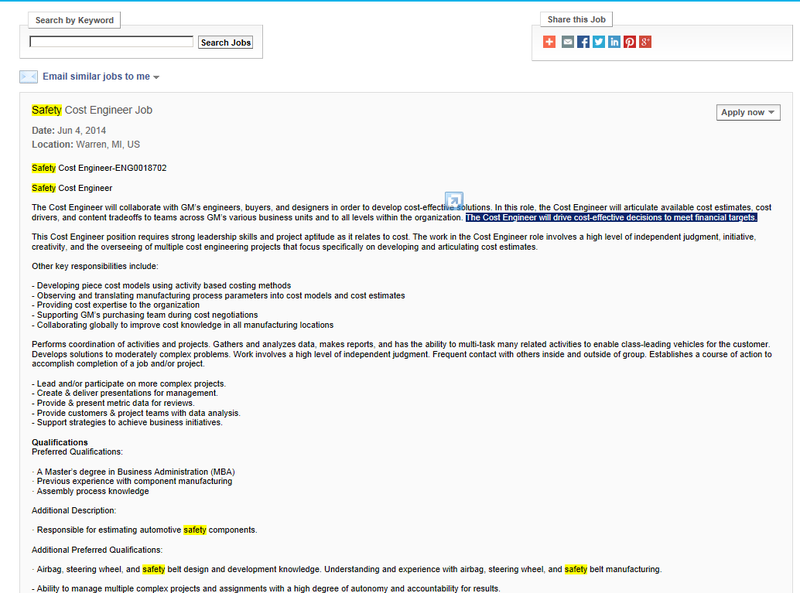 Granted the job announcement, posted yesterday, doesn't say "regardless of the cost to the human body" and it is for a cost engineer and not a safety design engineer, still - this wording when combined with the word safety in the title is just very poorly timed even if it is just normal auto-industry business speak (maximizing profits and what not).